Stockist, Dealers, Sub-dealers and Manufacturers of Hex Head Bolts are made up of Stainless Steel, High Tensile & Mild Steel Studs as per customer requirements. - ISO Gr 8.8, 10.9. - ASTM A325 High Strength Bolts for Structural Steel Joints. - ESSVE supplies bolts, more correctly called hexagonal screws, to industry and to craftsmen. 1) Standard: DIN931, DIN933 2) Meterial: SUS201, 304, 316 3) Size: M6- M20. 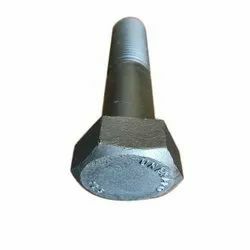 In order to keep pace with the never ending demands of customers, we are involved into offering wide range of SS Hexagonal Head Bolt. 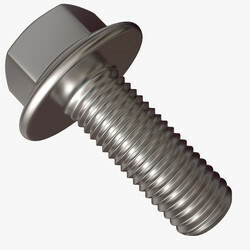 Our precision engineered hex head bolts & stainless steel fasteners are available for the needs of varied industries. Available in various sizes ranging from M2 to M16 in inches, the bolt is manufactured as per the requirement of our loyal customers.